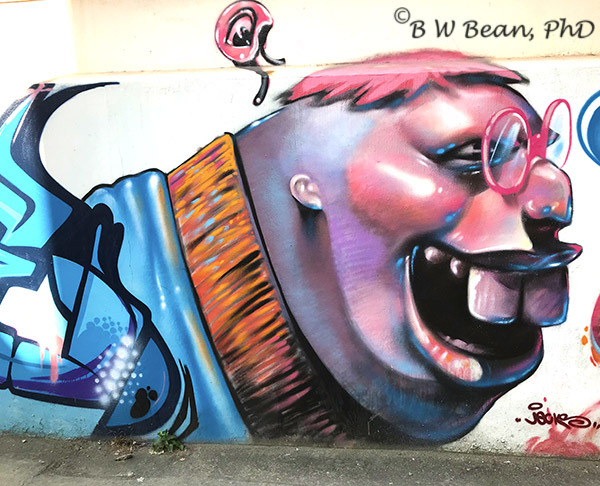 Lots of cities have street art. 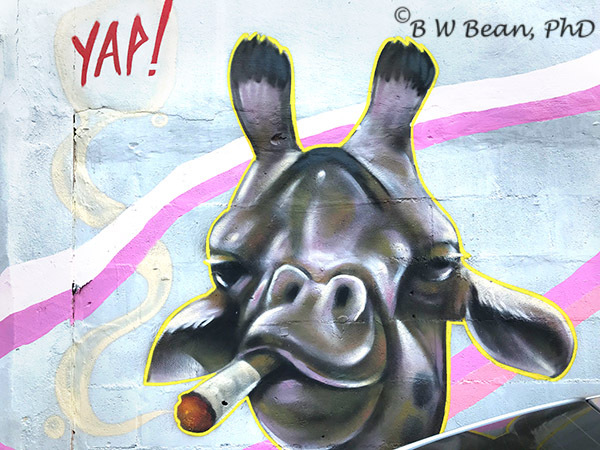 I recently wrote about some of the great art in the Kansas City Area – Kansas City Street Art. 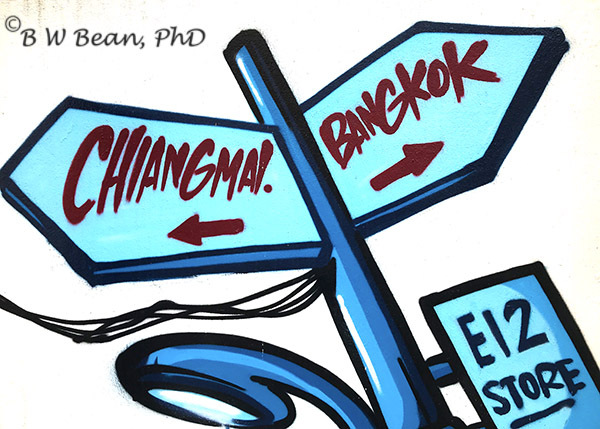 Visitors to Chiang Mai, Thailand however rarely think in terms of street art. The Old City of Chiang Mai is, of course, a visual feast. It’s full of stunning temples and exotic markets. But street art? 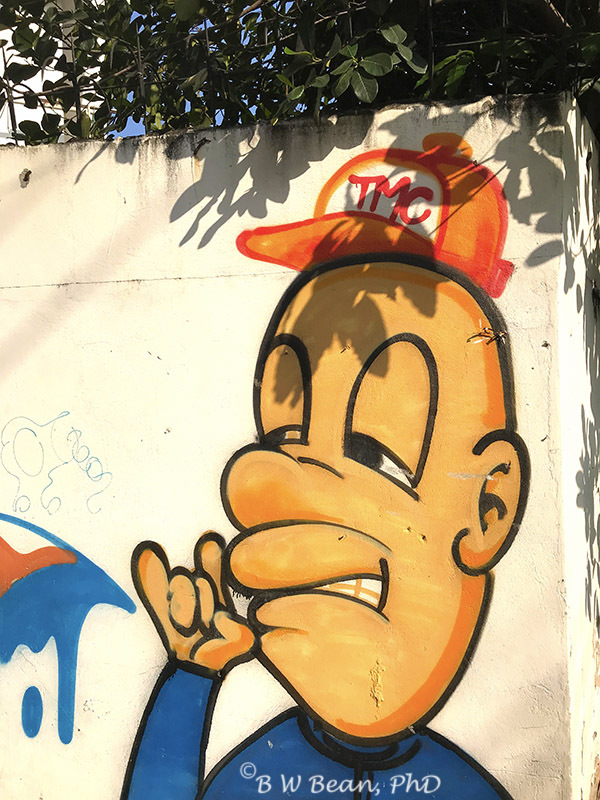 You might have to explore a bit – but yes – Chiang Mai has some great street art as well. 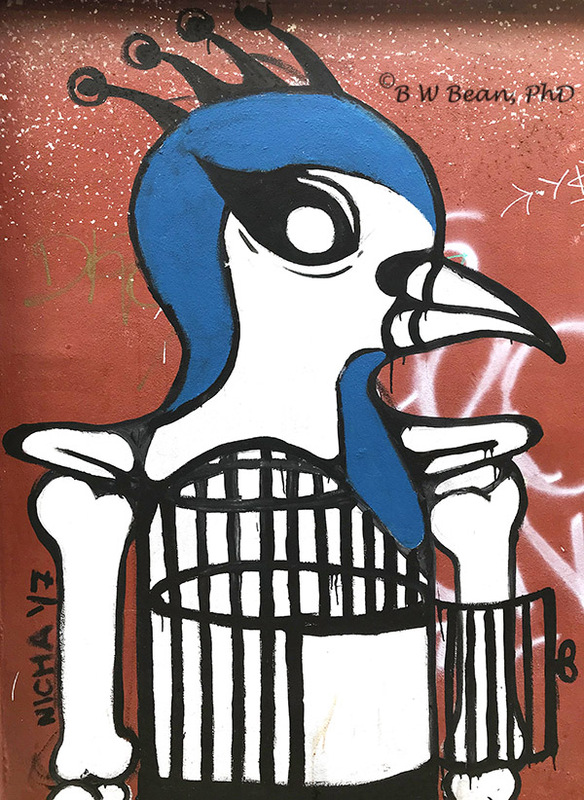 Chiang Mai’s street art is mostly found on the small side streets and alleyways. You have to get off the beaten track a bit. Keep your eyes open. It’s there. Also available on mugs, pillows, phone cases & prints. 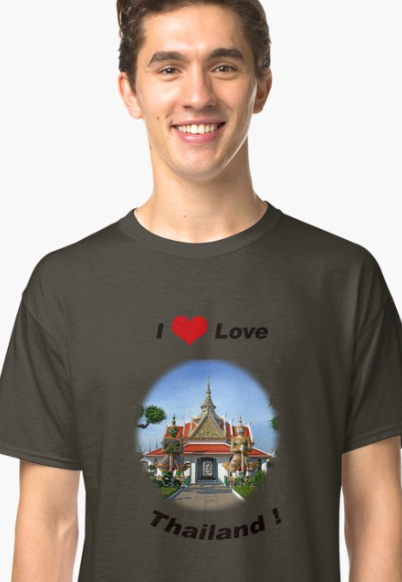 Next time you visit Chiang Mai – visit the temples and check out the markets. But keep your eyes open for Chiang Mai Street Art. It’s there – and it’s interesting. 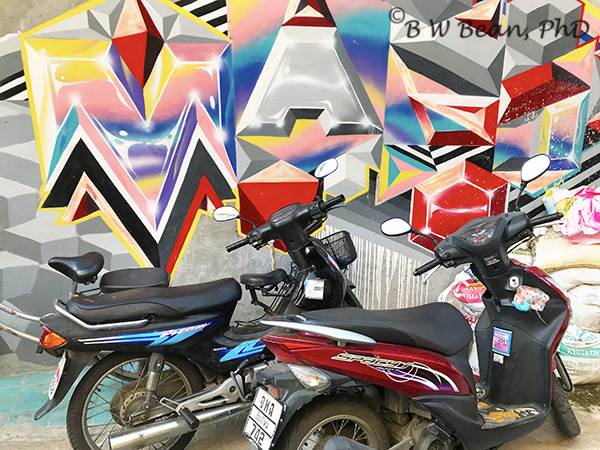 Explore Chiang Mai Street Art ……….. And Enjoy The Adventure! 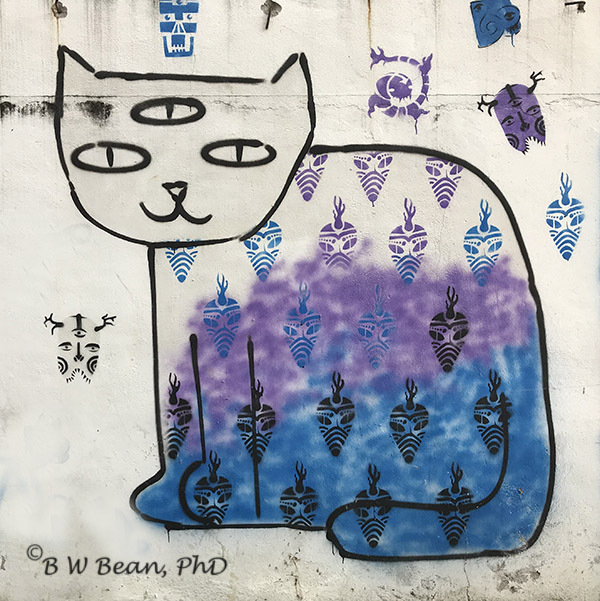 This entry was posted in Photography, THAILAND, Travel & PhotoReport and tagged Chiang Mai, Street Art, Thailand by Bruce W Bean, Ph.D. Bookmark the permalink.